Our beautiful baby girl, Emma, was born on February 23, 2009. She was the love of our lives. Our families were so excited to meet their first granddaughter. Emma was a happy baby who loved attention. When Emma was eight months old, we received news from our pediatrician that would change our lives forever. 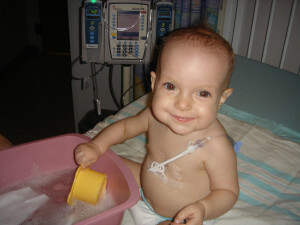 Emma was diagnosed with infant Acute Lymphoblastic Leukemia on November 5, 2009. The grief that our family felt from this news was overwhelming. Because Emma was under a year when she was diagnosed, her treatment would be more intense and require a lot of hospital stays. Emma was in the hospital for five weeks straight in the beginning with intense chemo, and Emma was not allowed to leave her room. 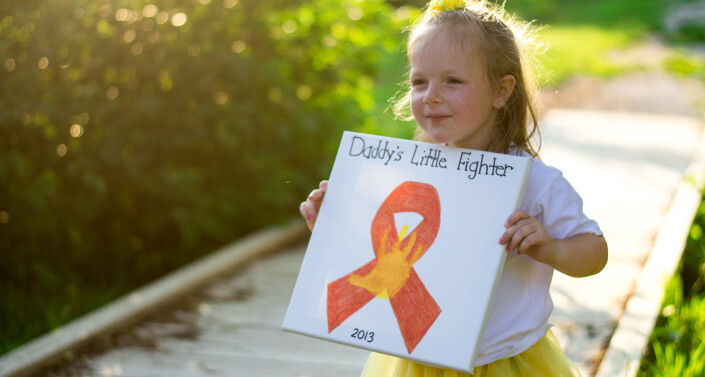 For the next two years, Emma was truly a fighter during her treatment days. 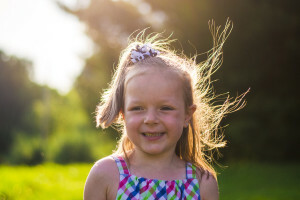 There were days that she went without eating because her stomach was so upset, and then there were other days that she couldn’t stop eating because she was on steroids that made her hungry and cranky. She learned to walk by holding on to her IV pole walking up and down the hallways. She got several fevers and infections that left her feeling so yucky for so many days. Through it all, Emma always tried to put a smile on her face. Emma finished her treatments in November. 2011. She is still in remission and continues to be monitored. She is a fun, energetic, and a smart little girl with a great imagination. 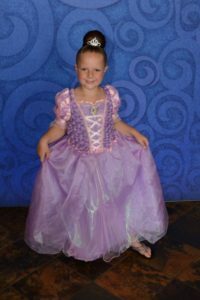 She loves to play soccer and she is currently taking ballet and tap lessons. She also loves to go bowling. Emma loves to go to the beach and enjoys any type of water activities. When she grows up, she says that she wants to be a “cooker girl” (chef) like her Aunt Heather. Most of all Emma loves to spend time with her family and going on “family dates,” and we are so thankful for enjoy every moment we get to spend with her. 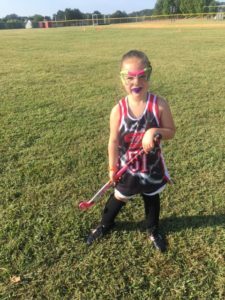 Today, Emma’s favorite sports are field hockey and lacrosse. She also takes dance classes. She loves hanging out with her friends and being a big sister. Emma currently wants to be a chef when she grows up like her Aunt. She loves to help her mom cook dinner and make desserts. Since Emma’s treatments, Sinai Hospital received funding from the Children’s Cancer Foundation, Inc. (CCF), which has enabled the hospital to upgrade its pediatric oncology unit. Today, cancer patients are able to stay comfortably in a home away from home. The updated pediatric unit enables nine oncology patients to be treated at one time and to roam freely throughout the hallways, as each room is equipped with a full bathroom with shower, 42” tv, video games, sleep sofa and locked storage for those overnight stays.